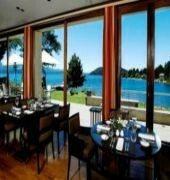 Located in one of the most beautiful places of Patagonia on the shores of Lake Nahuel Huapi, the hotel integrates into the landscape with its architectural style and offers the utmost in comfort, making any stay a unique experience. 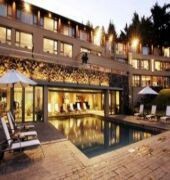 The modern version of the hotel was conceived as an art hotel and has a collection of 475 paintings and sculptures by Argentine artists. 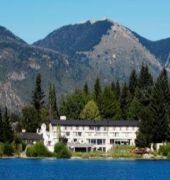 It offers 33 rooms overlooking Lake Nahuel Huapi. The hotel offers a hairdressing salon, safe, and laundry and room services to make for a comfortable stay. 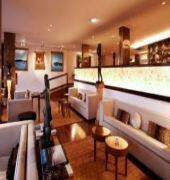 Guests are invited to wine and dine in the restaurant.